In order to serve you better and to process your request in a more timely manner Disclosure and Certification requests are processed through HomeWise Docs. 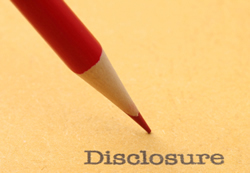 Please visit homewisedocs.com to submit your disclosure or certification request. Our Managers update the community information in HomeWiseDocs regularly. Certification Fees are due up front prior to the release of your order. Should closing fail to occur, requesting party will be responsible for payment of Certification Fees. Please note – All requests will be processed as standard requests unless specifically noted otherwise. Payment Required in Advance for All Transactions. HomeWiseDocs is an Internet utility developed to simplify the process of delivering and obtaining Homeowners Association data and documentation for a variety of users in any association real estate transaction.